Instagram (IG) is a popular photo-sharing app for smartphones. It’s about sharing moments, visually. 55% of young adults age 18-29 use the platform. Half of all Instagram users (49%) use the site daily. Women are particularly likely to be on Instagram, along with Hispanics and African-Americans. Instagram is becoming a great platform for small businesses to build brand awareness and customer engagement. Unlike Facebook, IG is not tinkering with its algorithm (yet) so every one of your followers will see your posts. On March 15, 2016, Instagram announced that: “to improve the experience, feeds will soon be ordered to show the moments we believe people will care about the most—and that includes content shared from businesses.” So it begins … Algorithm comes to Instagram! Which industries are best suited for Instagram? Businesses selling products are the first to come to mind but many service based businesses are very successful on the platform. As with any marketing tactic that you use for your business you need to start with a strategy. What type of content will you post? Instagram is about telling your story visually. You can share behind the scene pictures or short videos (3 to 60 seconds), show off your products and services, or share inspirational quotes for a start. It’s the perfect platform to let your creative side come out. Balance fun and business-related pictures or videos to give a little glimpse into your world and share what makes your business unique. Remember to keep your posts relevant to your business. You can also use Instagram Stories which are collections of different images and videos. Establishing a “look” that reflects your business and make it stand out is very important. It can be done by using an identifiable color palette and/or a photo style. You can get inspiration from IG accounts in your industry and outside the industry as well. See what you are attracted to. Canva to design beautiful graphics. They have social media layouts that you can use on Instagram. Instaquote App for quotes on the go. Snapseed App to adjust and filter your photos. Did you find a great picture on Instagram that you want to share with your followers? There is an app for that and it’s called Repost. Post at least once a day and grow from there. You need to be consistent. It’s not enough to post content you also need to determine when to post it. Because Instagram is meant for use on mobile devices, users can use the platform anytime. Test posts at different time and track your engagement to determine your optimal days and times. You can schedule your Instagram posts with Latergram.me or Hootsuite to name just two. Download the App (it’s free) on your mobile device and follow the instructions. Unlike Pinterest or Facebook, IG does not offer a business specific account. Business and personal accounts are created and function the same way on Instagram. You can now create a Business Profile on Instagram. 1| The Contact Information Button. It gives you 3 options for people to contact you: telephone, email or go to your location – great for local businesses. 2| Analytics. A simple tool to analyze your Instagram marketing efforts. 3| Access to Instagram “Promote” button to create & schedule Instagram ads. Keep in mind that Instagram business accounts only connect to Facebook pages not personal profiles. Instagram created this video to show you how to set up your business account. Use your company name as your username. Use the same or similar username that you use on other social media platforms. Don’t make your profile private, it’s the equivalent of having a store and keeping the door locked. It’s not very welcoming. Use your logo as the profile picture or a good headshot if you are a solopreneur. Be consistent and keep the same profile picture that you use on other social media platforms. Be sure to include the link to your website or landing page in your Instagram profile. In a few short sentences (150 characters), explain what your company is all about and why you’re worth following. Unable notifications to make sure that you don’t neglect your account and followers. Navigating the IG app is relatively simple; take some time to get familiar with it. Upload at least 3 pictures to start. Experiment with the IG filters or use a photo-editing application like Snapseed to adjust and filter your photos. Your images will improve with time and practice. Connect your Facebook account if you have one and start following your friends. Search for and follow industry leaders, customers, and competitors. As tempting as it can be to purchase followers and likes for your IG account, it’s against Instagram’s policy. Of course many people and businesses do it and I admit, it’s great for the ego to have over 10,000 followers. BUT, most of those followers are “fake” and won’t purchase anything from you. Instagram supports a search feature that uses hashtags to search for posts; use relevant hashtags to increase visibility. Use hashtagify to find the most popular hashtags to use and search for your keywords. Although you can use up to 30 hashtags per post, don’t go overboard. It does not look professional. The sweet spot is 11 hashtags. Take a few minutes every day to go thru your followers’ list and like a couple of their pictures. Pick a hashtag that your target audience would use. When you find accounts that interest you, like 3 of their pictures, write a relevant comment and tag them (using the @ symbol and their username.) This will bring attention to your account. Utilize the comment section to create a conversation with your customers and followers. Reply to comments from your followers. Participate in a photo challenge. Instagram has one every weekend. Add a social share button on your website. Embed your IG posts on your website. Promote your IG account on other platforms. Let your email subscribers know that you are on Instagram and ask them to connect with you there. Reward your followers with IG exclusive promos and discounts. Share your photos to your other social profiles – Instagram makes it easy to do. Be found with geo-tagging. Check this video on how to use geo-tagging with Instagram. Use Instagram Ads to grow your audience. Offer flash sales to your Instagram audience. Share exclusive behind the scene photos or videos. Give a sneak peek of a new product. Things change very fast on social media so measure your performance weekly. Use Iconosquare to find out your total number of likes received; your most liked photos, your average number of likes and comments per photo, your follower growth charts and more advanced analytics. Use this information to create a posting schedule. 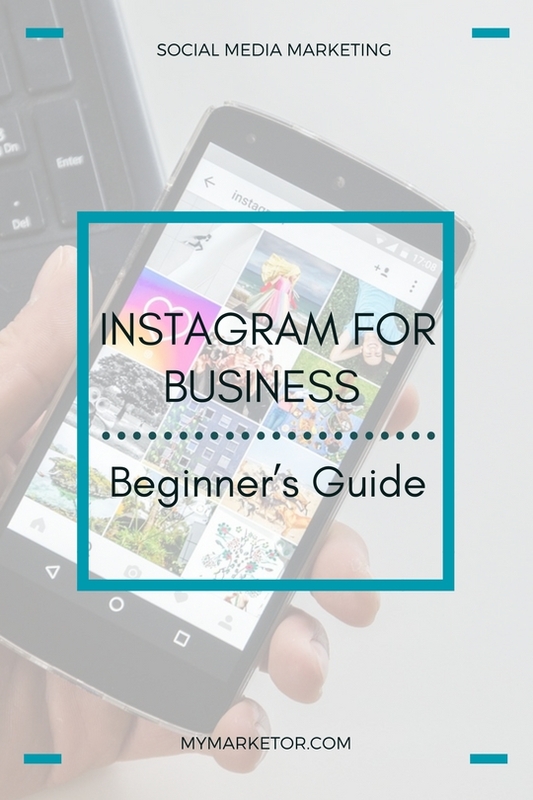 Do you need help creating and implementing a strategy to use Instagram for your business? Contact me!